Arbitron Inc is a renowned research firm. They deal in marketing and researching for international media, including Internet and television. They even serve various advertising industries around the world. They mainly focus on local radio market and measuring network throughout the United States. They undertake intensive research regarding media audience based on various criteria, including demographic and lifestyle preferences. They have also gained reputation by developing advanced technologies essential for media and market research - Portable People Meter or PPM. World famous engineering and research organization has their headquarters in Columbia. Their radio rating services roots back to 1965. Nielson Holdings acquired Arbitron for about $1.26 billion, through consent, in 2012. There are currently 0 consumer reviews about Arbitron Inc available. Share your review. 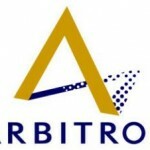 Please take a note that you are about to post a public review about Arbitron Inc corporate office on CorporateOffice.com. This review will be public, so please do not post any of your personal information on this website. If you would like to contact the corporate offices of Arbitron Inc, please use their contact information such as their phone number, website, and address listed above to contact them. However, sometimes staff from Arbitron Inc headquarters do read the reviews on this website.